Age 87, of Ross Township, on Friday, August 15, 2014, surrounded by family and friends. Beloved husband of the late Mary (Karr) Duessel; cherished father of Richard A., Gary T., Barbara L. Emminger, P. Scott (Cynthia), Patricia A. Ewing (Raymond), and the late Deborah L. Ryberg; loving grandfather to eight grandchildren and four great- grandchildren; beloved uncle to numerous nieces and nephews. Bill was a proud member of Insulator Local #2, and served as pension trustee and executive board member throughout his career. 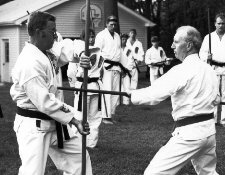 His lifelong love and dedication to karate lead him to achieve the rank of 10th degree Black Belt in the style of Isshinryu Karate. 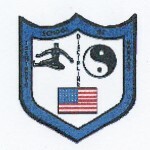 He, along with Charles A. Wallace, co-founded the Academy of Isshinryu Karate, which was located in downtown Pittsburgh. He loved to golf and often shot a round lower than his age. He served in the U.S. Marine Corps at the end of WWII. He will be greatly missed by all who knew him. While you’re still here . . . Behind a veil you can not see through. Posted in Announcements, Memorials, Training & Inspiration.